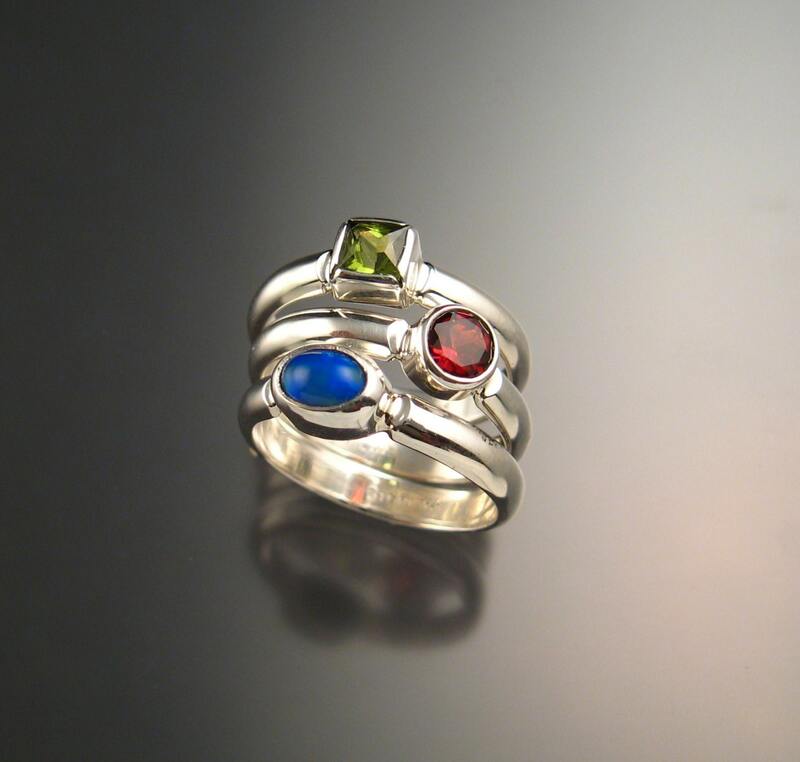 Set of three Sterling Silver rings with your choice of birthstones. (restrictions apply). 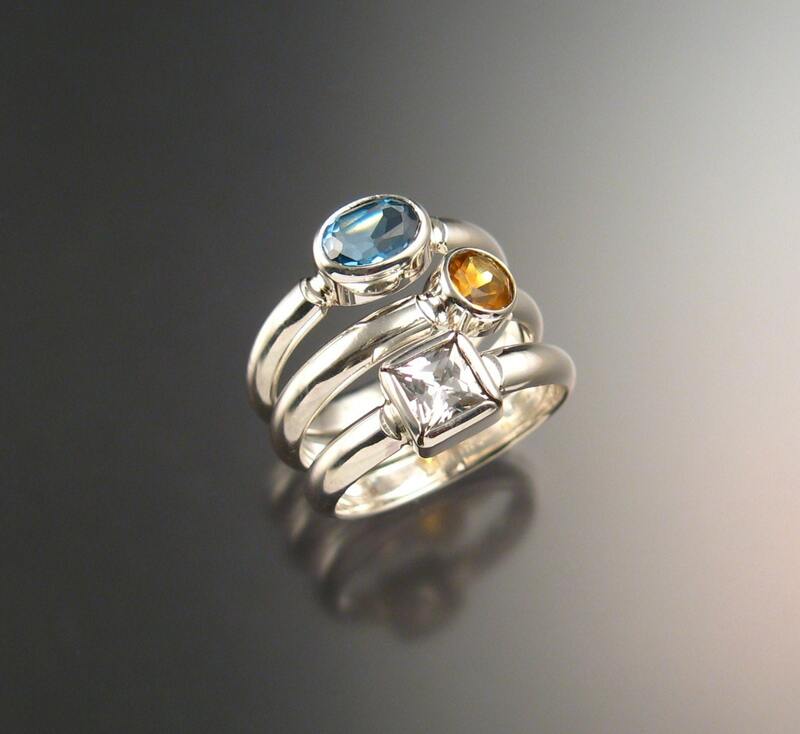 Three stones are bezel set with one oval, one round and one square. 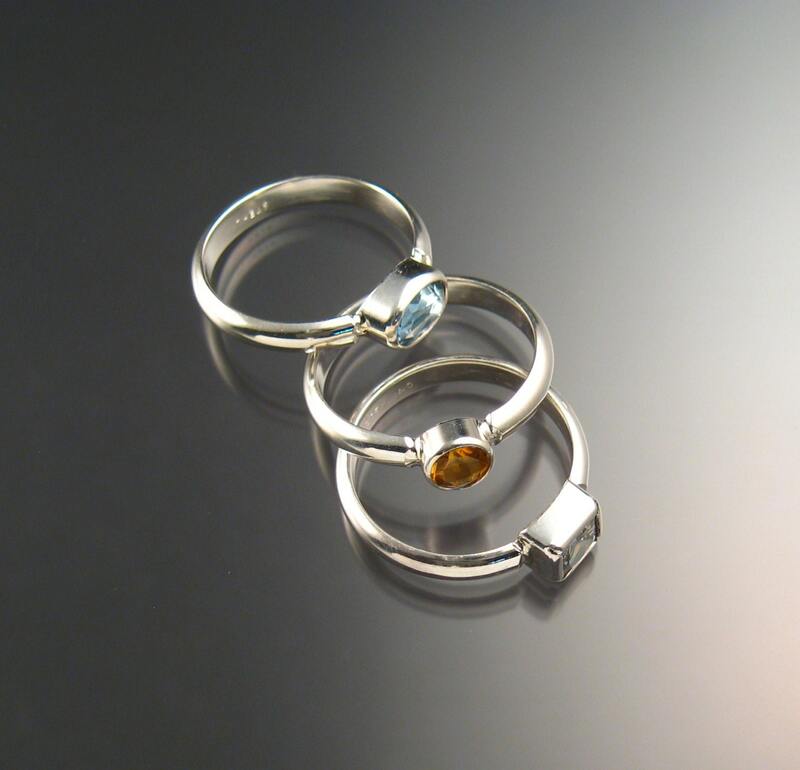 The bands are 1.5 thick by 3mm wide half round. 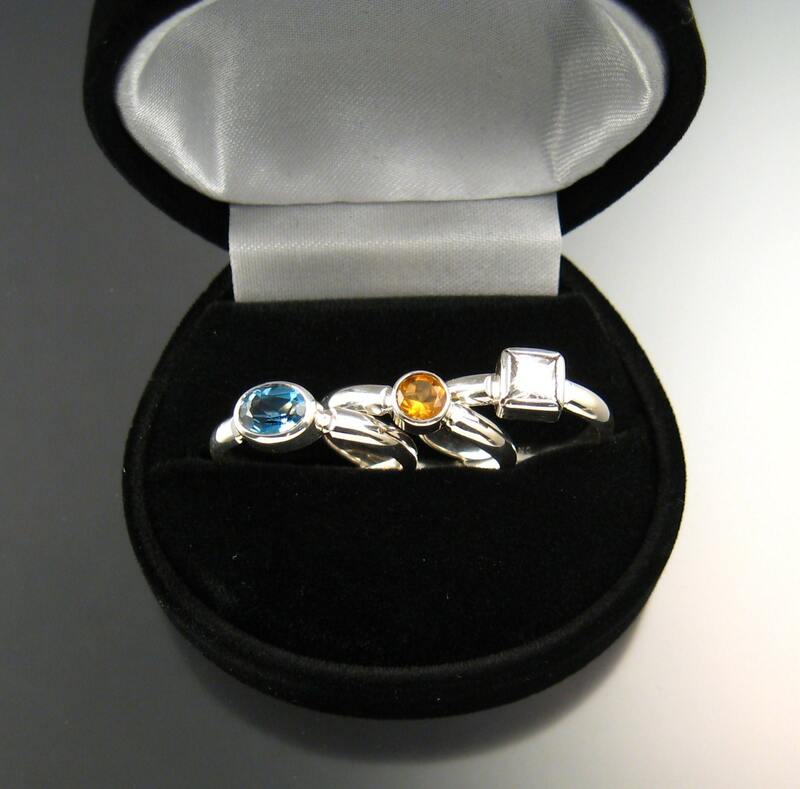 Specify stone preference and ring size at check out. It is usually best to send a note before ordering to work out the details. 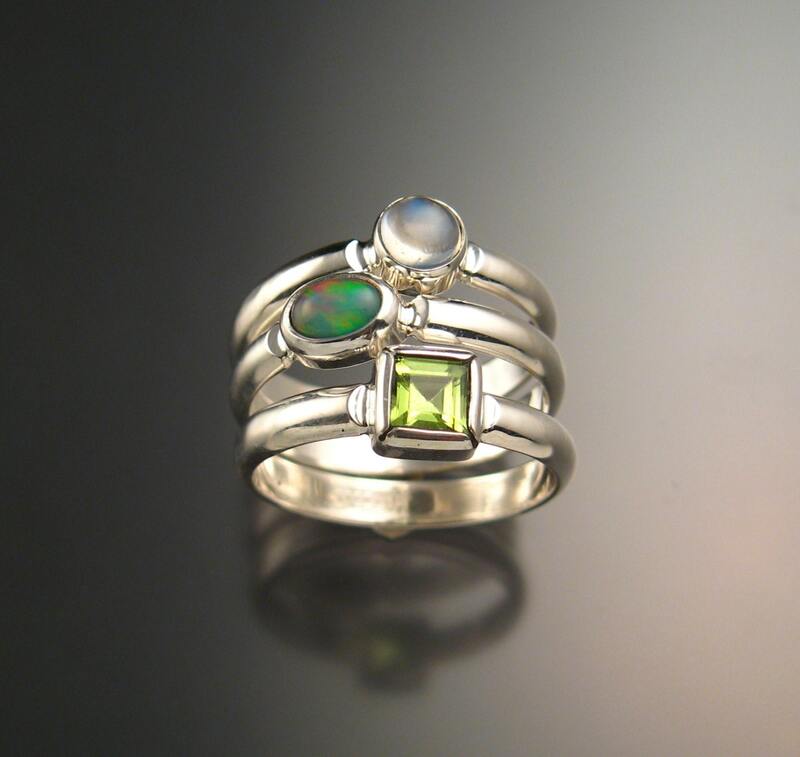 Love these rings! The owner was great to work with too! Fantastic as always!! Thank you so much!